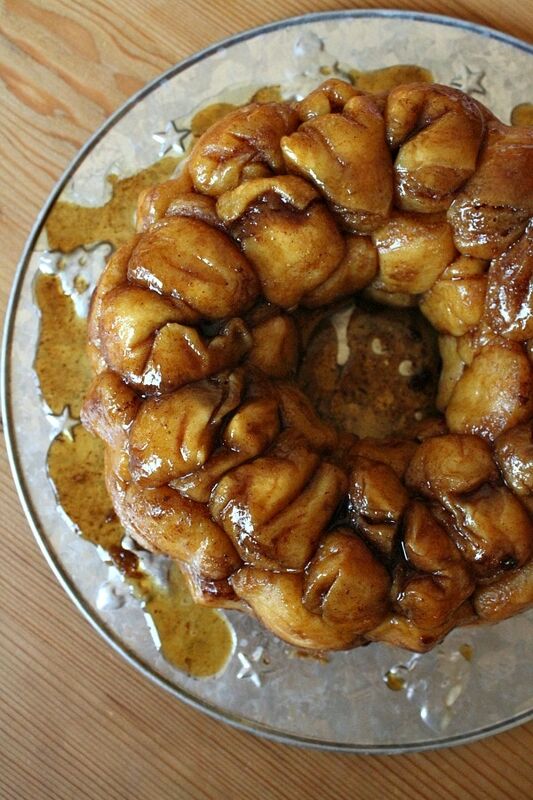 I thought there was nothing better than monkey bread. Then I saw this. 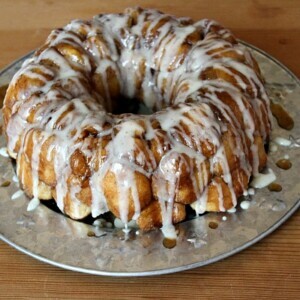 Eggnog monkey bread?! Amazing! 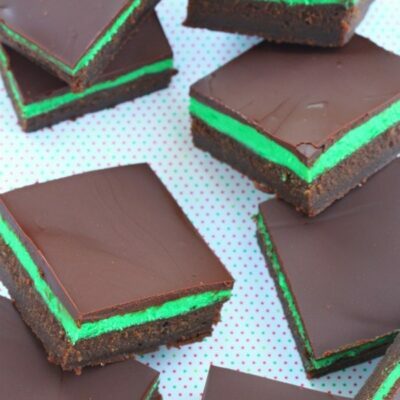 I may have to make this for Christmas morning. This looks incredible! Totally worth the time! 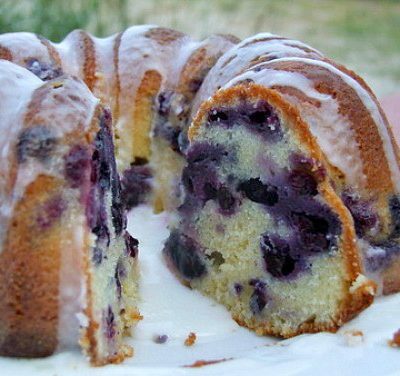 The glaze is the perfect finish for this bread. 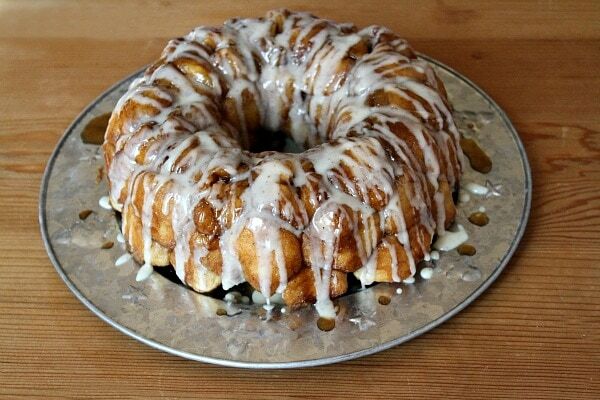 I’m not a huge fan of eggnog, but I think it would be awesome as a monkey bread. This looks fantastilicious! 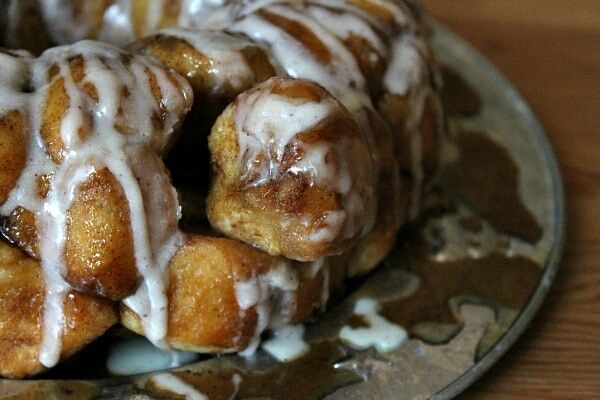 What a great variation on the regular Monkey Bread recipe. 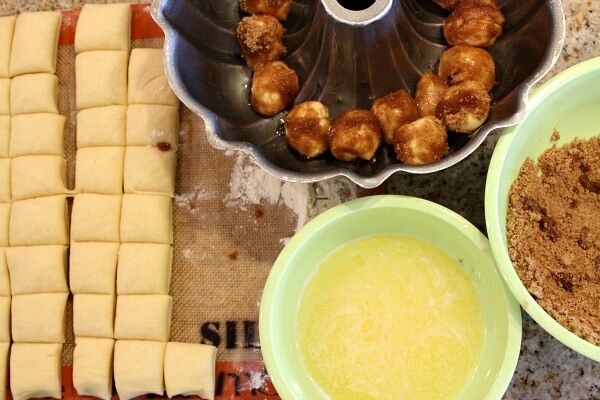 I will be giving this a try with my grandson..he loves making Monkey Bread and loves eating it even more ! Oh My, this is the GOOD stuff!! This looks incredible, perfect for a christmas breakfast! Oh my!!! 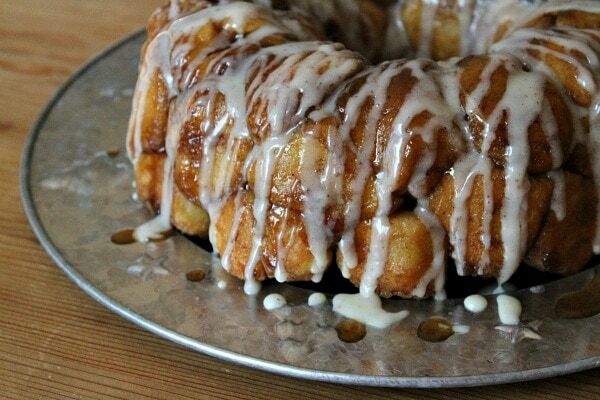 I have never had monkey bread and now I want some!!! I have to give this recipe a try!! 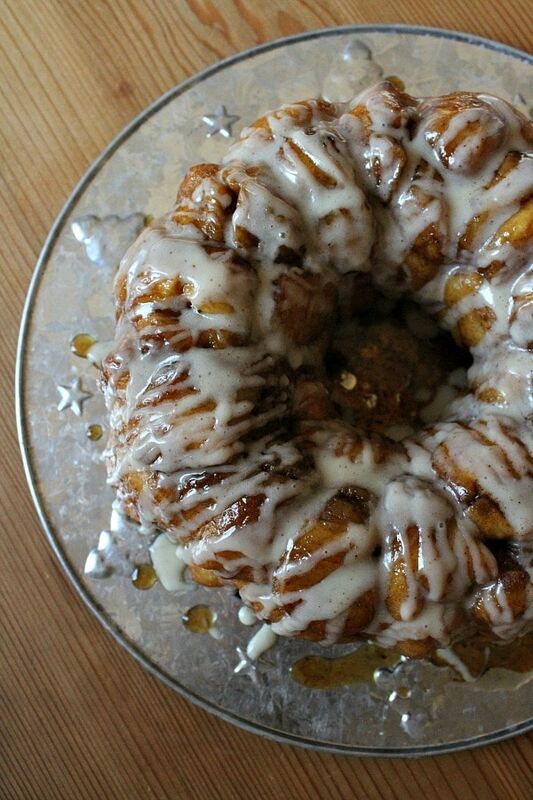 Oh wow that is dreamy indeed, mmm that eggnog glaze…. Love this! I am always down for treating myself to a good breakfast. I am just wondering…can you do all the prep the night before and just bake it the next morning?? Well, the short answer is that I didn’t try it that way. However, I have done yeast rolls before where I’ve done the first rise, then shaped them, then covered the pan with plastic wrap- refrigerated overnight and then planned the 2nd rise for the next morning. Those usually turn out okay. This is craziness I would never be able to stop eating!!! So glad you dreamt about this because this – yeah, this is breakfast done right. Lori this is gorgeous! Pinning it now. 63 times of buttering, cinn-sugaring, repeating. Normally wouldn’t be a fan of that but the results are soooo worth it. I’m drooling! And your yeasted doughs always have a beautiful look to them. Just the raw dough even. 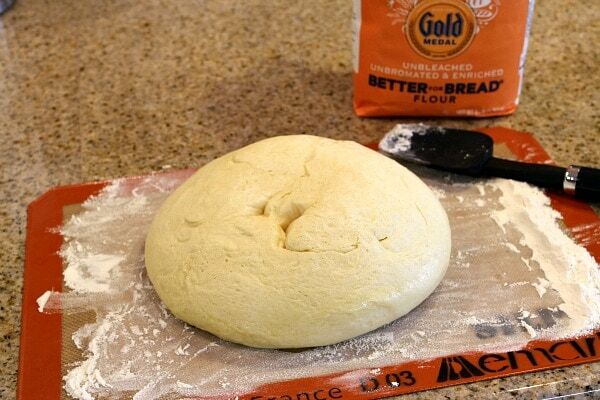 Just a great texture and consistency to the dough. I love bread dough! 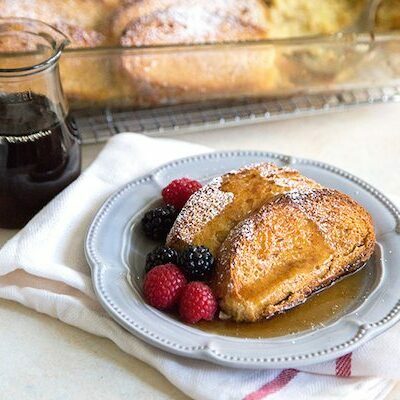 This looks fantastic… think I’m craving egg nog now too! A slice of this, a glass of nog, I think I’ll be a happy man. What a great bread rising tip. And what a great bread, Lori! I can’t decide if I’d have the willpower not to eat that ooey gooey bread before I had the chance to put the glaze on (I may have to make two)! Also, just want to say your new photo is gorgeous! !